LinkedIn is a professional social networking site and is grabbing a lot of eyeballs. In fact, opinion leaders are strongly advising business professionals at all levels to have a LinkedIn account - to help find jobs, build an online presence and stay connected to trends. Last year a study by OfficeTeam showed one-third of companies felt that profiles on social networks will replace resumes. 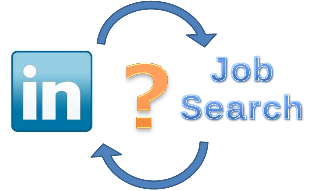 Another study by SMC Seattle, revealed that last year 50% of Fortune 500 companies hired through LinkedIn. Companies and recruiters both routinely use LinkedIn to learn more about applicants, understand who they are, and guage their skills. These days if someone doesn’t have an account, they are basically invisible. How scary is that? You can have all the skills in the world in B2B marketing, but in a matter of clicks be completely disgarded because you didn't invest in your LinkedIn account the same way you did your resume. For those seeking a job in Inbound Marketing, but don’t have a LinkedIn account, my suggestion is…create one…fast! As a young marketer, there are high expectations of being savvy in certain realms of social media. So if you don't have a LinkedIn profile, you’re out-of-touch. And since you don’t have an account, it’s less likely that you know how to navigate through it, adding another point against you before you even interview. This applies to the Boomer generation of senior exec's as much as fresh out of college newbies. In order to succeed, you must remain visible and relevant to your audience. As a leader, you represent your company even more than your summer interns. You must conduct yourself on-line in a way that best represents your business. And if you “specialize” in B2B marketing, but are out-of-touch with any of the big 3 social media networks today (Twitter, LinkedIn, and Facebook), prospects question the relevance of your services (ouch). Of course, you’re not guaranteed a job or immediately considered relevant just because you have a profile on LinkedIn, but it’s definitely a step in the right direction. What you put on your profile is just as important, if not more. 1. Put your full name, current occupation and photo on your profile (if you’re a student seeking employment, note where and what you’re studying in school). 7. When requesting connecitons and recommendations ALWAYS personalize each message/request. And if you get one, return the favor! My name is Sydney Graham and I work at a B2B marketing agency that focuses on Inbound Marketing. I noticed we have similar interests and would love to connect and share ideas! Looking forward to hearing from you! 12. Update regularly! As you gain more skills and build your resume, be sure to extend those accomplishments on to your profile page. Whether you’re a 20-year-old fresh out of college or a 50+ year-old CEO of a major corporation, it’s important to remain relevant today. The golden rule in marketing when it comes to your target audience: think how they think and go where they go. Once you master that, everything else will follow. If you’re still trying to figure that out, connect with us and we can help you through it. And be sure to stick around for my next lesson on how to SEO your LinkedIn account for a particular search.